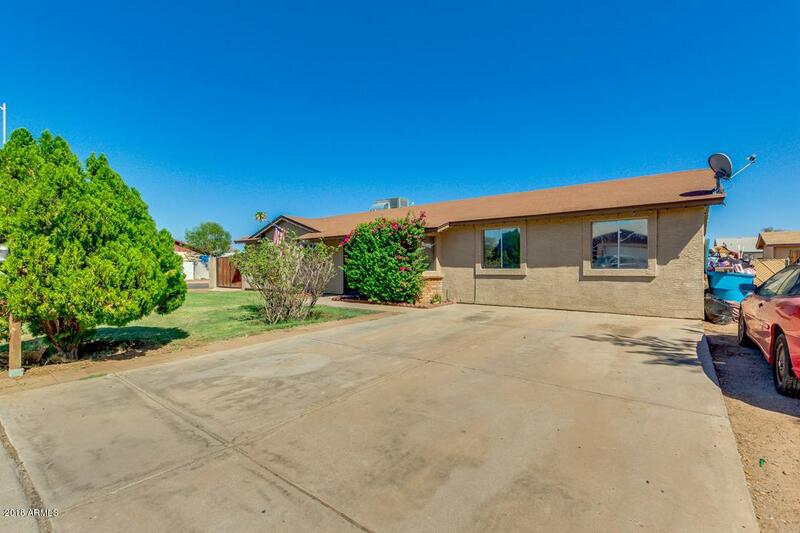 Charming property located in Phoenix has everything you are looking for! 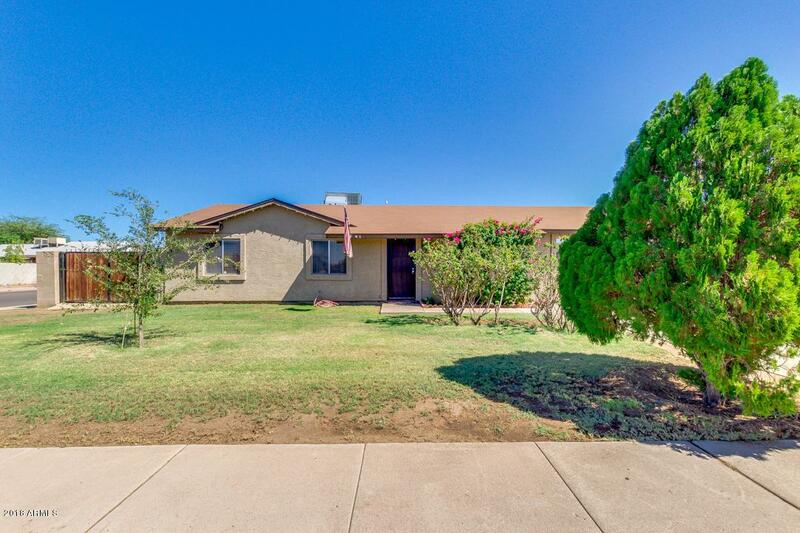 This nostalgic beauty features grassy front yard, RV gate, and 4 car slab parking. 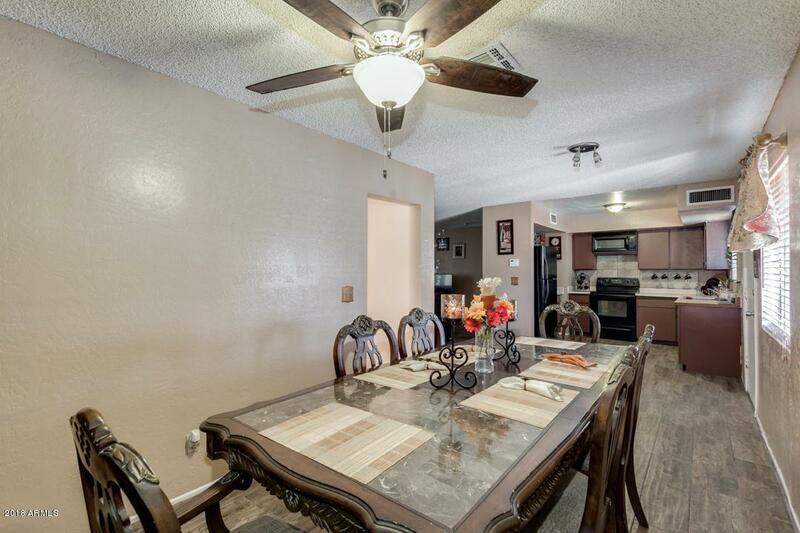 Step inside to find open floor plan with dining and a lovely kitchen. The kitchen includes matching appliances, ample cabinets, and tile backsplash. Master suite has a private bath. 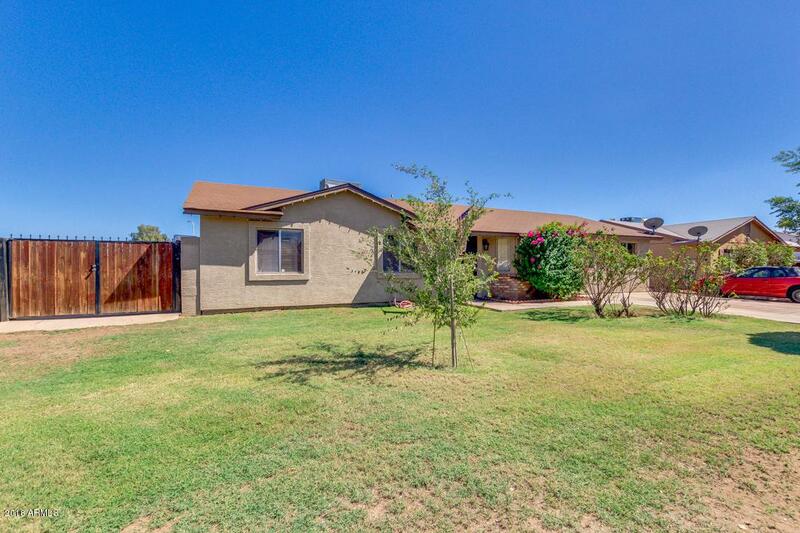 Huge backyard is a total paradise with covered patio, grassy landscape, Ramada, and fenced blue pool. A rare find with no HOA!